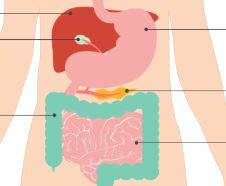 Digestive Health and Hormones – . You know our mantra is you’ll never be healthy if you have an unhealthy digestive tract. But you might not know, how an unhealthy digestive tract, can actually affect your hormone balance in several areas.Poor thyroid function is one area that’s affected and also there can be excess estrogen accumulation. Let’s talk about how these two are tied together. Poor intestinal flora balance and not being able to break foods down properly, prevent the body from doing a good job of getting rid of unnecessary estrogen. This causes toxic levels of this powerful hormone to build up. This increases the chance for several undesirable outcomes for you-higher risk for breast cancer and uterine cancer, prostate…. This extra estrogen also binds up the carrier proteins that take thyroid hormones into the cells so they can do their work. This will bring on low thyroid symptoms. The thyroid hormones are there but they can’t get into the cells. But thyroid tests will look normal. The test is measuring what’s in the blood. As digestive issues are running rampant, in the U.S., we guide people to have healthy digestion and a healthier body for a happy life! ← Hormones that Sneak up on You!